Our fire or emergency exit signs and labels clearly mark the way out of your building during emergencies. These ready made industrial-strength signs are available in a variety of styles and colors, with glow-in-the-dark options. We (ARF) highly recommend that you display these signs on or near fire exit doors so that they are easily seen. Any business wanting to maintain compliance with fire safety standards and improve safety should use these signs. 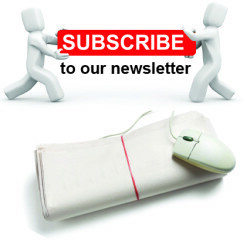 Africa Road Furniture Ltd is your No.1 choice for quality and affordable workplace safety labels. Keep the doors clear for when it is needed in an emergency with our range of emergency exit door signs. Installing reminders at various office or factory exit points helps reinforce compliance and maintain safety at the workplace. 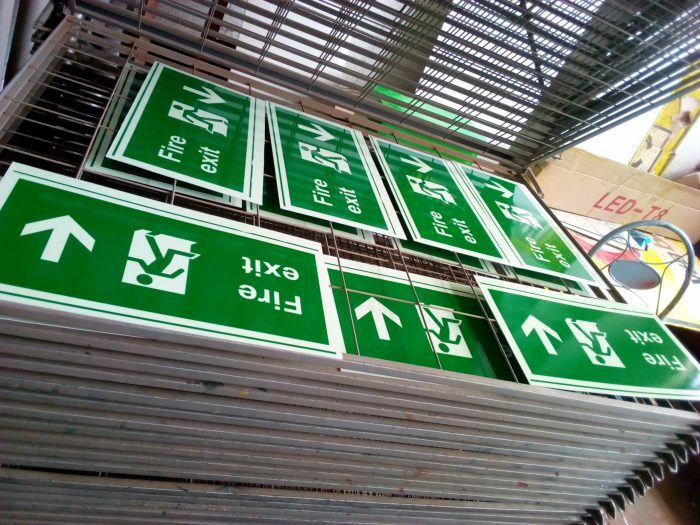 We have ready to use stock of photo luminescent fire exit door signs that glow intensely when the lights go out and a full range of metal and plastic indoor/outdoor safety labels. You can also customize a sign that fits your need but first start from on of the easy-to-use templates below.